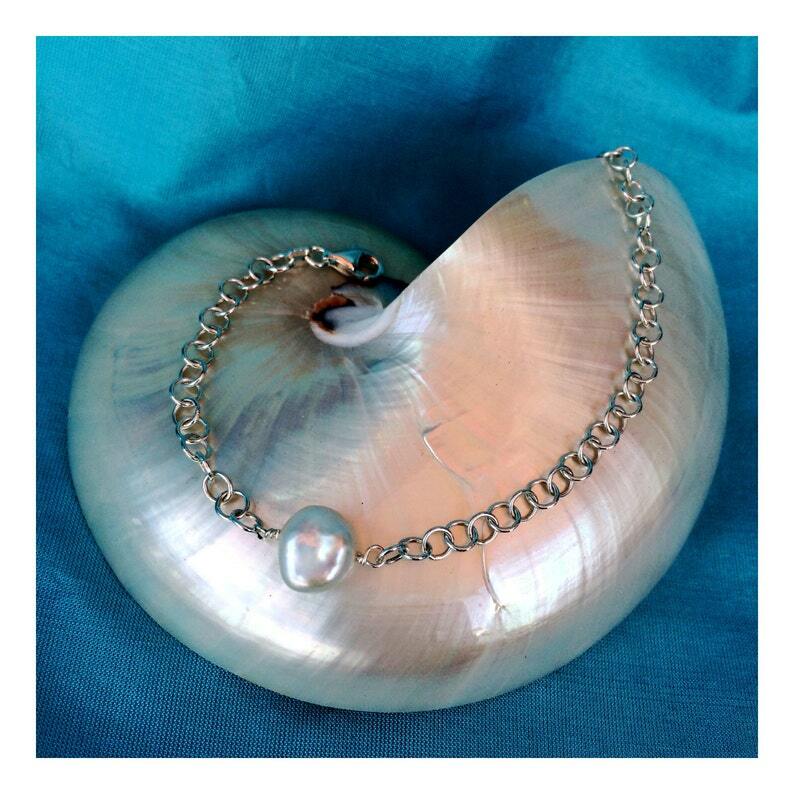 This simple bracelet features a rare white "Keishi" shaped freshwater pearl. The pearl has been wired by hand onto a high quality Italian sterling silver chain. A sterling lobster clasp can be attached to any of the end circles for a custom fit (adjustable up to 7 1/4" ~ other sizes available by request). A tiny pearl at the end for a finishing touch.